Goals from Boithang Haokip, Daniel Lalhlimpuia and Thongkhosiem Haokip got the job done for Albert Roca’s side. 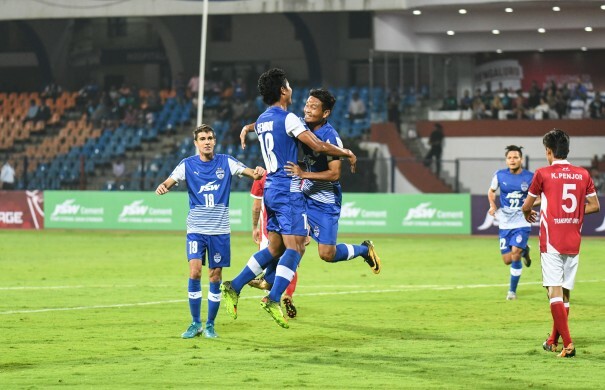 Bengaluru FC made light work of Transport United, beating the club from Bhutan 3-0 at the Kanteerava Stadium, on Tuesday, to progress to the play-off stages of the AFC Cup. Goals from Boithang Haokip (27’), Daniel Lalhlimpuia (54’) and Thongkhosiem Haokip (62’) got the job done for Albert Roca’s side who will now play one of TC Sports Club (Maldives) or Saif (Bangladesh) over two legs for a place in the Group Stages of the continental competition. Roca’s changes to squad from the one that drew goalless in Bhutan had Juanan Gonzalez, Harmanjot Khabra starting in a XI that had Daniel Lalhlimpuia and Thongkhosiem Haokip paired up in attack. Sunil Chhetri was named on the bench. 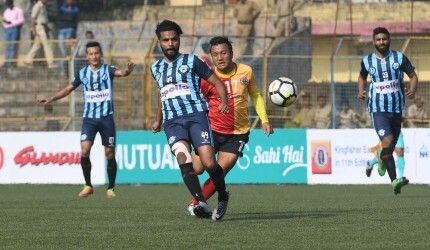 After spells of toying with the visitors but struggling to stick the ball at the back of the net, Bengaluru had their opener in the 27th minute when Haokip rose to head home Thongkhosiem’ s chip beyond Hari Gurung. To the Transport United ’keeper’s credit, he pulled off more just a few saves to keep his side alive in the first half. There was a Lalhlimpuia attempt that Gurung palmed over and then a Zohmingliana Ralte header that he clutched on to. But Lalhlimpuia, who has been fighting hard to end a goal drought, turned up with a beauty in the 54th minute to make it 2-0. Picking the ball 25-yards out, the striker let fly with his left, leaving Gurung absolutely no chance at all. Bengaluru soon got more comfortable in front of goal and Thongkhosiem got himself on the score sheet in the 62nd minute. Khabra, put the ball over a defender before laying it up for the striker who didn’t struggle with the finish. 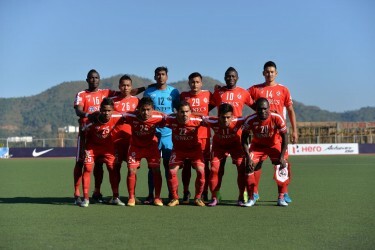 Roca, who started the second half with a change, throwing in Subhasish Bose for Gonzalez, handed Myron Mendes his Bengaluru debut when he brought on the youngster for Malsawmzuala. With a three-goal cushion, Bengaluru were happy to pass the ball around without breaking any sweat. There were a few chances that Gurung kept at bay, while Alwyn George’s dink over the ’keeper in the last minute had a little too much on it. Bengaluru now switch focus to the Indian Super League where two away games against ATK (Feb 3) and Chennaiyin FC (Feb 6) await Roca’s league-leaders.